A good base is the small village Moudeyres or (possibly) the ski area Les Estables, that is located nearby. We stayed at a very charming hotel, La ferme des Fèrres PERREL, a 400 year old building with excellent food. In order to get to the trailhead, first drive to the small village of Estables. There are signs in this village for Mont Mézenc, drive a short stretch east along D631, make a left onto D274. Higher up, D274 turns sharply right, drive another 900 meter and arrive at the trailhead, a col named Croix de Peccatta, but with no sign. This location is N44:54.962, E004:10.715, elevation 1567 meter, there is good parking on your left. There is a small monument in stone next to the parking. Two forest roads start from this location. Take the one to your right when facing from the parking area. Follow this gravel road to a 4 way trail intersection. 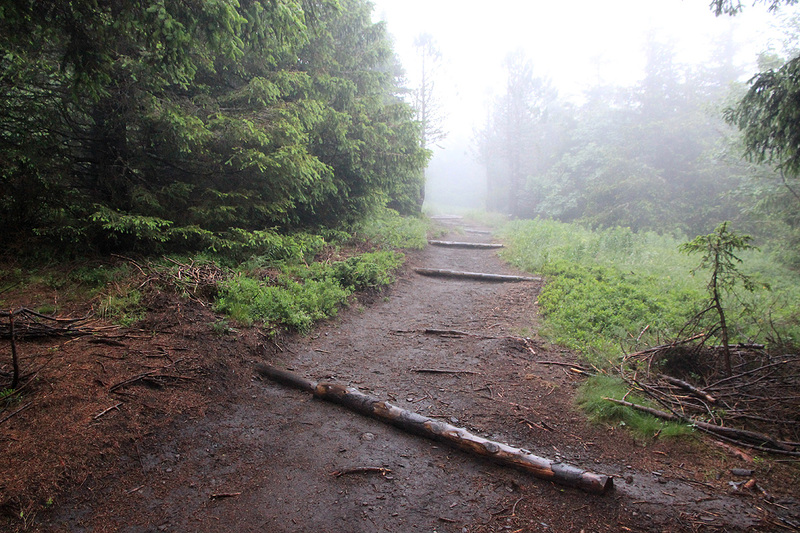 The summit trail is straight across and ahead. From here, this trail has been made into a wide, nicely maintained "park trail". It is about 3 meter wide almost all the way. Higher up, a trail from another trailhead merges in from your right. A bit further along, the trail forks. 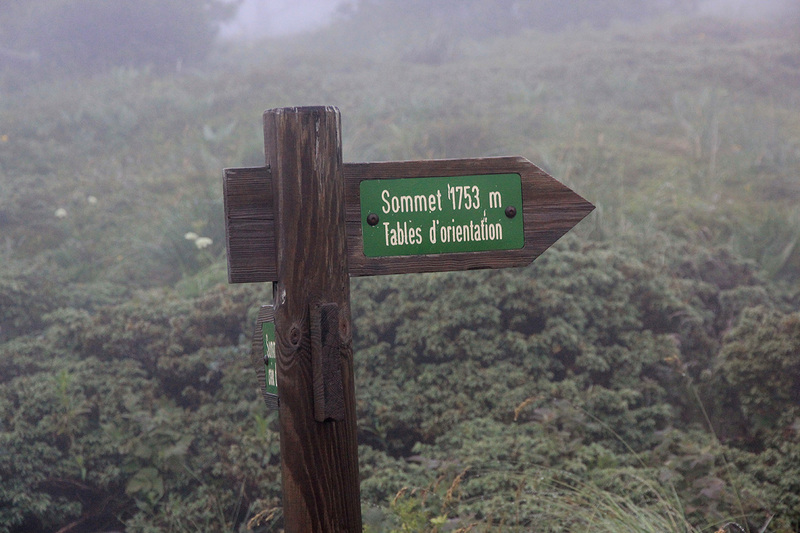 There is a sign for the 1753 summit going right. The other branch runs to the lower, north summit. Follow the trail uphill, and keep right in order to enter the highest point. 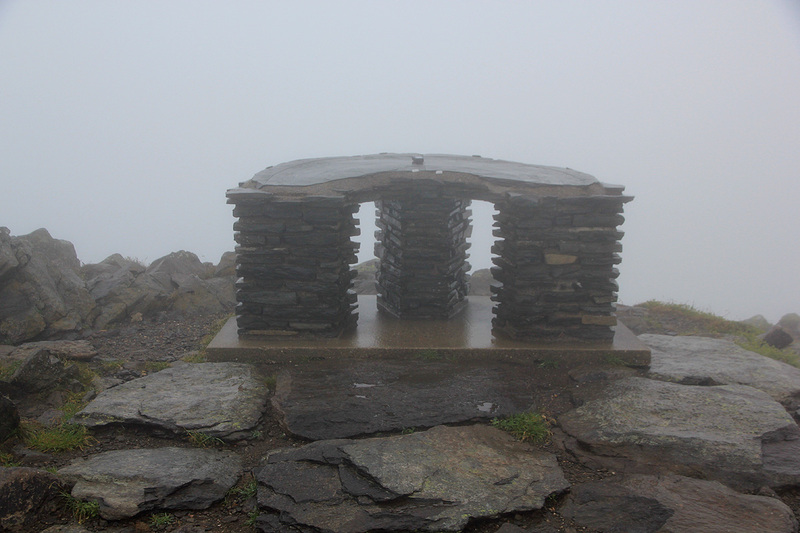 There is a viewfinder on the summit cairn. I decided to make this trip as a morning hike before breakfast with Heidi in our very nice hotel. I left shortly before 0600, after a short drive to the trailhead, I started out at 0610. A leisurely morning walk brought me to the summit by 0635. 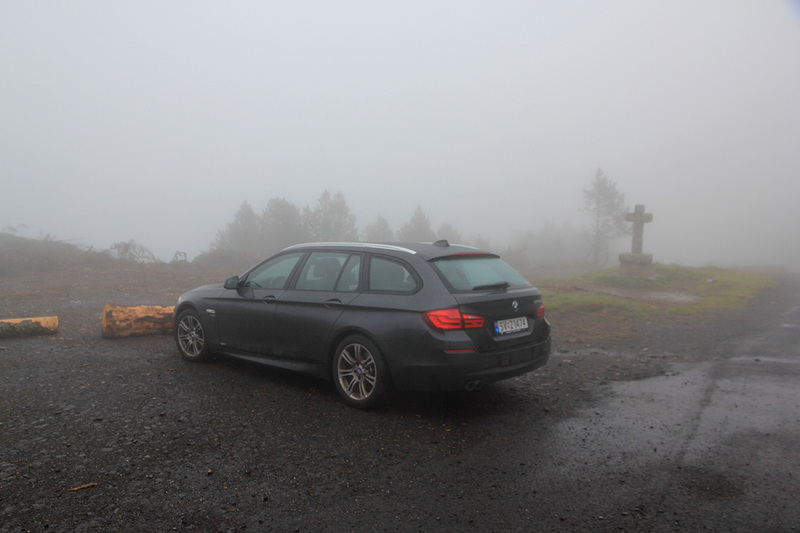 It was total fog, so no view. I started back down at 0640 and completed the hike by 0700.